“Critter Coven” will be taking a two-week hiatus, and the next page will be posted March 6th. While I hoped to build a buffer during the December Break, due to situations outside my control, I wasn’t able to. 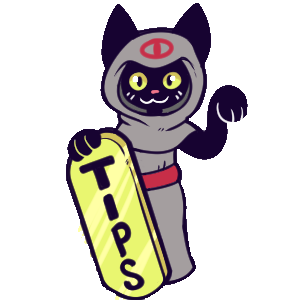 I will continue to work diligently only Critter Coven pages during this break to create a buffer, which will really help me keep on top of my schedule for the future. I apologize for the frequent hiatuses, and I want to once again share my appreciation for your kindness and patience. Thank you. During this time, my other webcomic, “Station: Starseed” will be updating every Friday. Patreon rewards will continue as normal, as well. I quit in early February, and have opened commissions to make income during this period. I am also taking orders for tarot card readings. It has been wonderful to have all my time to dedicate to artwork again, but the old bugbear of “money” is looming over me. Please, if you like what I do and want to see more artwork from me- including comics- consider supporting me through Patreon, commissions, tarot readings, or even simply tips. I am searching for day jobs, but the more income I can make from my artwork means the more time I have to find a job that doesn’t take all my time and mental energy.